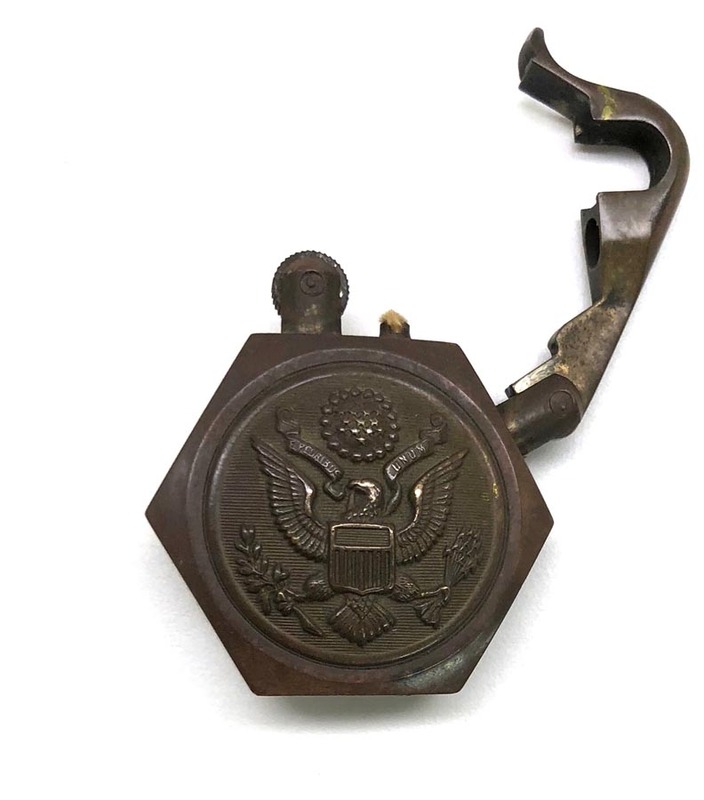 PHYSICAL DESCRIPTION: This WW1 US Eagle Trench Lighter is in real nice condition with no damage. 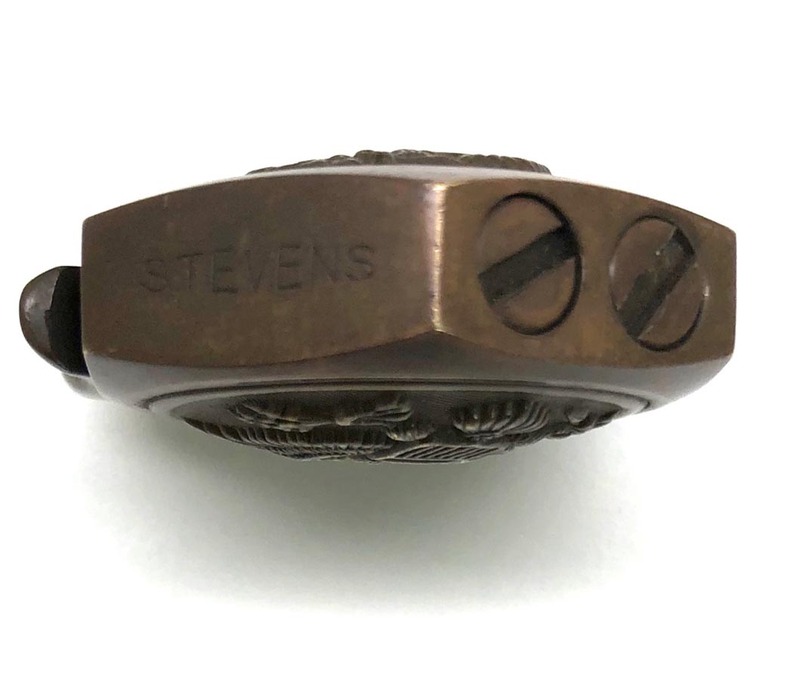 Base is marked "Stevens". 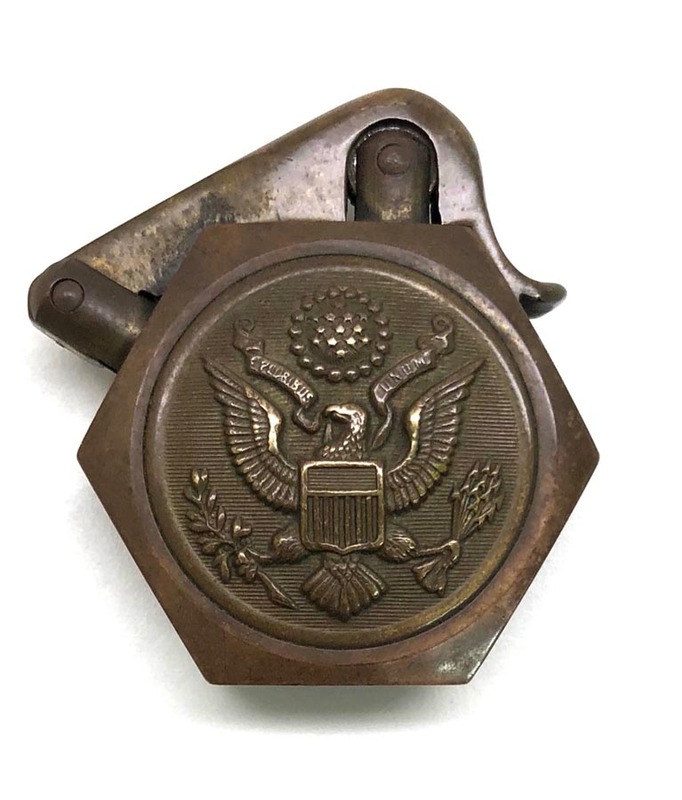 Lighter measures 1 1/2 inches across.